Many of these animal species could not even survive in Germany because it is simply much too cold for those exotic creatures. Therefore, the Reptilium has undertaken the commitment to give homeless reptiles a new home. Since it is a privately-run company, the reptile zoo partially has to rely on external help to maintain the premises or to realize new projects. 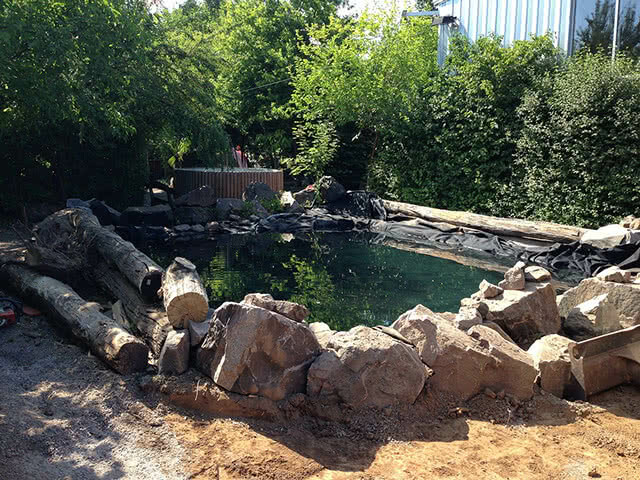 For this year a pond in the outdoor area of the zoo was planned as shelter for unwanted turtles. 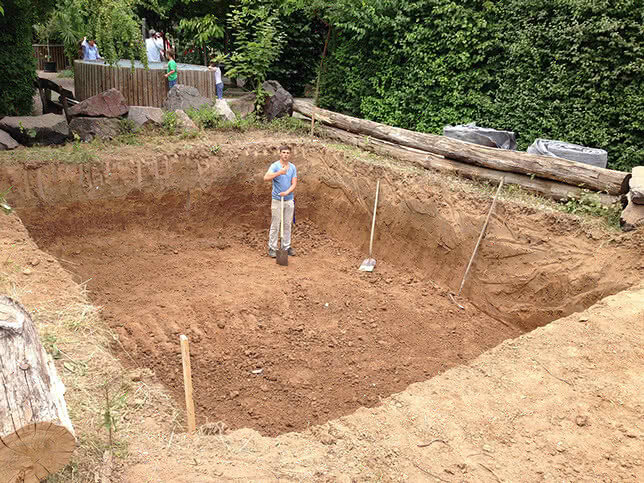 For this project, sponsors for financial resources or materials for pond construction were sought. This was how the Reptilium found CARLISLE® CM Europe. In fact, we were exactly the right partner since our product portfolio for sustainable sealing also comprises HERTALAN® easy pond, an EPDM sheet especially made for pond sealing. The sheet can be tailored up to a total size of more than 2,500 m² and consists of EPDM membranes which are vulcanized in a special hot-bonding process in our factory. Thus, the permanent seams are completely free of adhesives and volatile solvents and therefore are perfectly suited for use in pond inhabited by turtles. 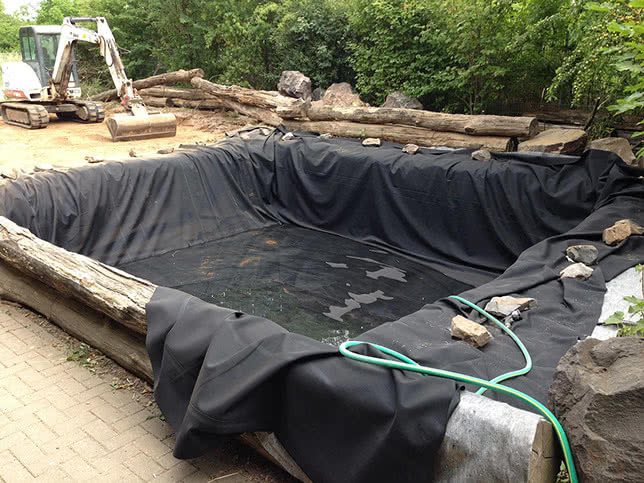 We provided the pond liner free of charge to the Reptilium and were really curious about the development of the new turtle pond. 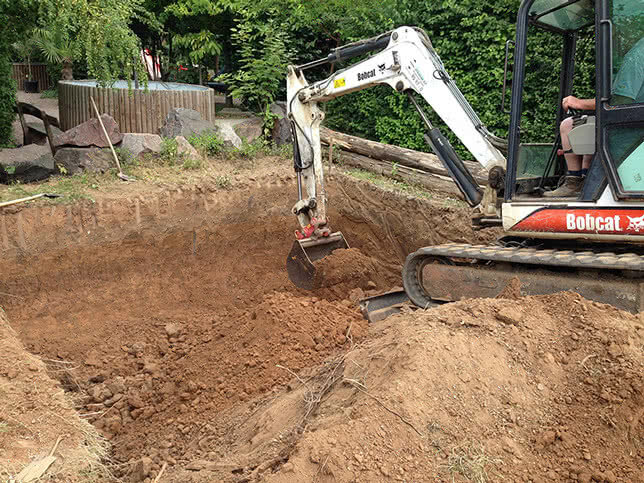 After a lot of sweaty work the pond basin was excavated and the custom-tailored EPDM pond liner perfectly fitted. The pond could be filled and a leakage test could be made. Now some nice pond plants will follow and we look forward to the moment the small water paddlers move in and the Reptilium’s approximately 75,000 annual visitors can enjoy watching them.